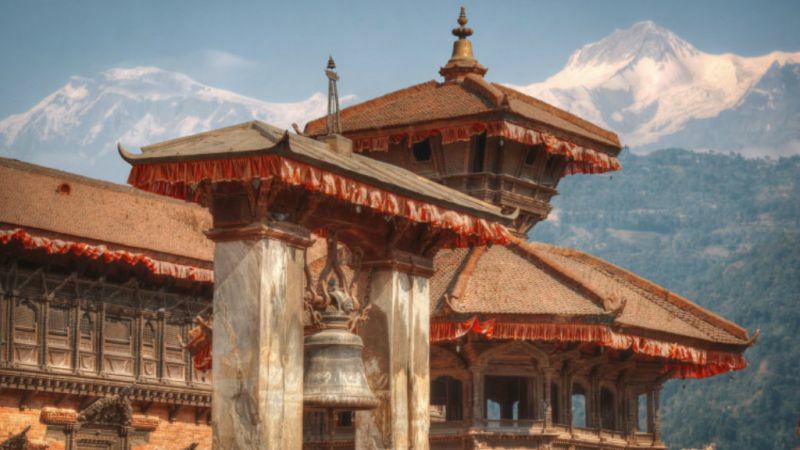 Visit this incredibly diverse historic city of Kathmandu and see the breath-taking Newari architecture, centuries old Hindu and Buddhist religious sites along with dedicated tourist-friendly accommodations and restaurants. Walking through Kathmandu is something everybody should experience at least once in their lifetime. 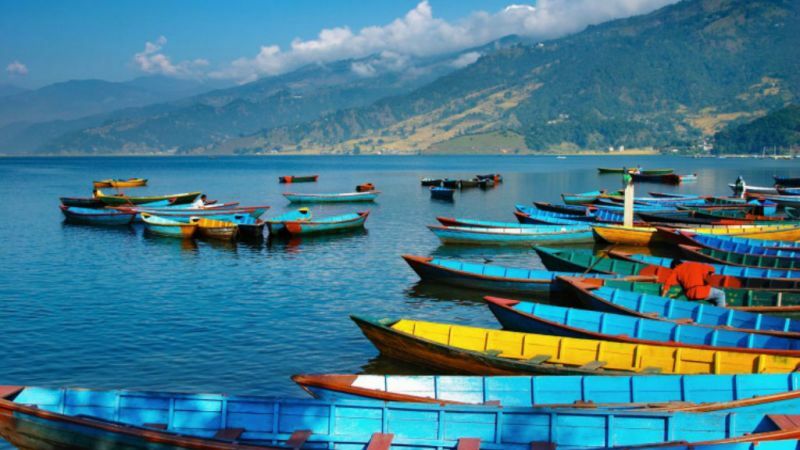 Pokhara is Nepal's top adventure and leisure city, a trekking gateway to the Annapurna's with plenty of entertainment for individual travellers as well as families with kids. Upon arrival you will be met at the airport and transferred to your hotel. Kathmandu and its sister cities of Patan and Bhaktapur, together form part of what UNESCO calls "the Kathmandu valley world heritage site". The representative will help you check into Hotel. 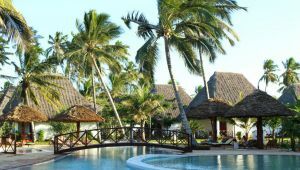 At the hotel you will be briefed about your daily activities. Day 02: Full day Sightseeing Tour of Kathmandu D. Square, Swayambhunath Stupa and Patan D. Square. After breakfast, commence to Kathmandu Durbar Square is historic place of royals where the kings in the past were crowned. It is crowded with ancient temples and palaces that reflect the royal history and religious and cultural life of people. Presently, the square is known as Hanuman Dhoka. 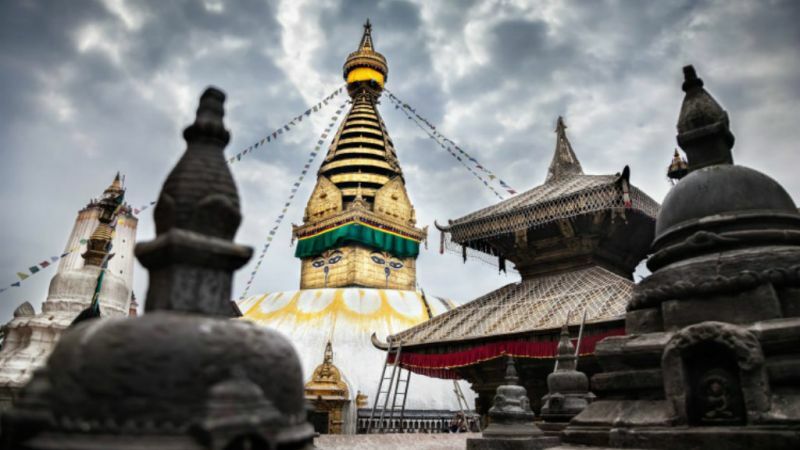 From here travel to the Swayambhunath Stupa said to be around 2000 years old composed of brick and earth supporting a conical spire crowned by a pinnacle of copper gilt. The next stop is Patan D. Square A destination for connoisseurs of fine arts, Patan is filled with wood and stone carvings, metal statues, ornate architecture, including dozens of Buddhist and Hindu temples, and over 1200 monuments. Patan is believed to have been built in the third century B.C. After breakfast we will drive to the valley of Mountains - Pokhara, 5-6 hour drive under normal road conditions. The Pokhara valley is crowned by the majestic Himalayas, loaded with luxuriant vegetation and dotted with shimmering lakes. This valley is one of the Nepal's adventure hubs, it has a reputation of being the second home for tourists worldwide. Check in and Overnight at Hotel in Pokhara. 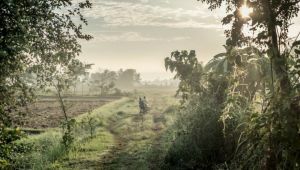 You will depart early morning for a 30min drive to Sarangkot where you are able to witness breathtaking sunrise views as well as getting to see the Annapurna range close by. Paragliding can also be done from Sarangkot. After breakfast at the hotel commence the sightseeing tour of Davi's fall, Gupteshwor Cave and Bindabasini Temple. After breakfast depart Pokhara for your 6hour journey back to Kathmandu where you will enjoy your last day of leisure. Assistance upon arrival and departure at the airport by office representative. All arrival and departure transfers as per the above itinerary by a/c vehicles. Surface transfers Kathmandu - Pokhara - Kathmandu with necessary vehicle retention using a/c vehicles.